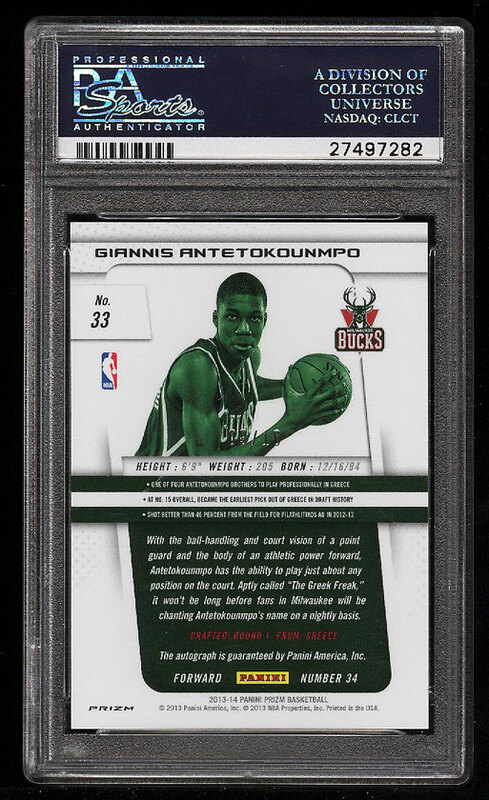 **Auction #1, Round 2** Among the holy grail of Giannis Antetokounmpo rookies in the hobby. 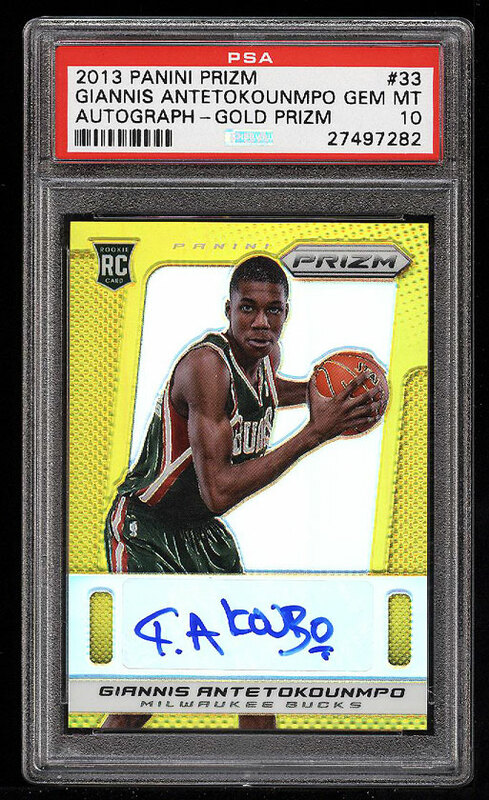 The offered Gold Prizm is the single finest example in the hobby and is only deserving of the best collection. A completely pack fresh stunner with dagger sharp corners, perfect edges, 50-50 centering and flawless surfaces. The autograph is undeniably pristine and the production run is limited to just 10. Giannis is among the top talents in the NBA and is having an MVP type season. Deserving of serious attention. One of over 16,000 cards, lots and sets up for bid in our 1st Auction of 2019. Click on the link above to view the other PWCC auction lots. Click on the link above to view the other PWCC auction lots.